When Donna Strickland was woken at 5am by a call from the Nobel Prize committee, her first thought was that she was being prank-called. 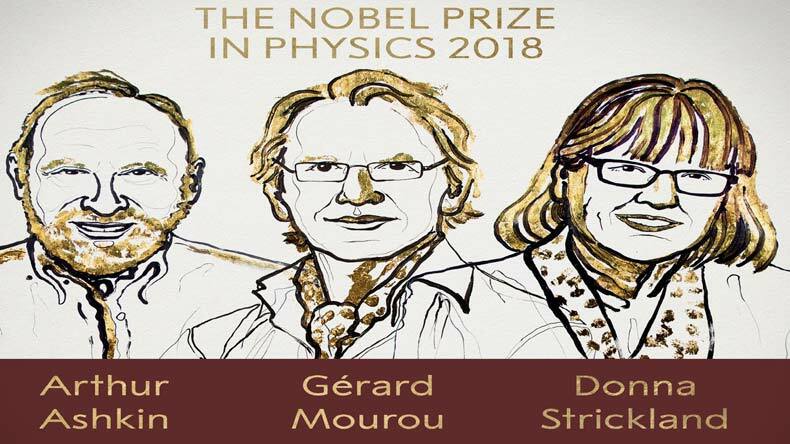 A woman had not been awarded the coveted prize for physics since Maria Goeppert-Meyer in 1963, and before that it was Marie Curie in 1903 (and then again 1911) who made history as the first woman ever to win a Nobel in any subject. 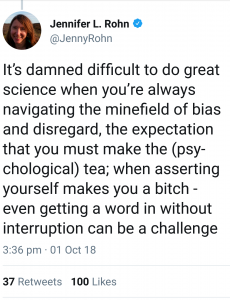 With 50 years, give or take a few, between nominations, the comments made by CERN scientist, Alessandro Strumia earlier this week that “physics was invented and built by men” (amongst other discriminatory observations that he has since been suspended for), reveal that gender bias regarding the sciences is still alive, whether it be conscious or unconscious. 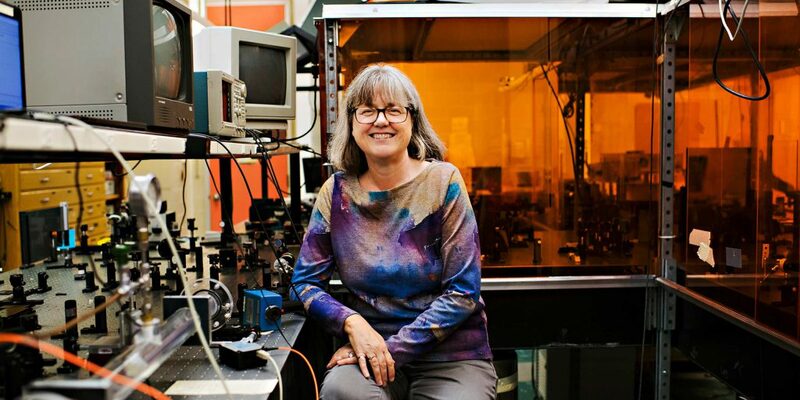 Why was Donna Strickland awarded the Nobel Prize? Working as an associate professor at the University of Waterloo, Ontario, Canada, Strickland was honoured for her work in the 1980’s, that transformed lasers into tiny tools. Lasers have made countless technologies possible: barcodes, eye surgery, cancer treatment and welding to name a few. Strickland alongside collaborator Gérard Mourou, a professor at the École Polytechnique in France, invented a method that allows scientists to produce intense pulses of light that, for a billionth of a billionth of a second, contain more power than the entire U.S. electricity grid. These laser techniques have transformed medical procedures, manufacturing, and biology research. The lasers can precisely cut away materials like biological tissue without damaging its surroundings, that’s why they’re used in corrective eye surgery. The scientists share the award with Arthur Askin, a retired physicist who worked at the renowned Bell Labs in the United States, who developed a technique for grabbing and studying microscopic objects, known as optical tweezers. Historical bias against women is undeniable, but are potential female Nobel nominees still overlooked today? 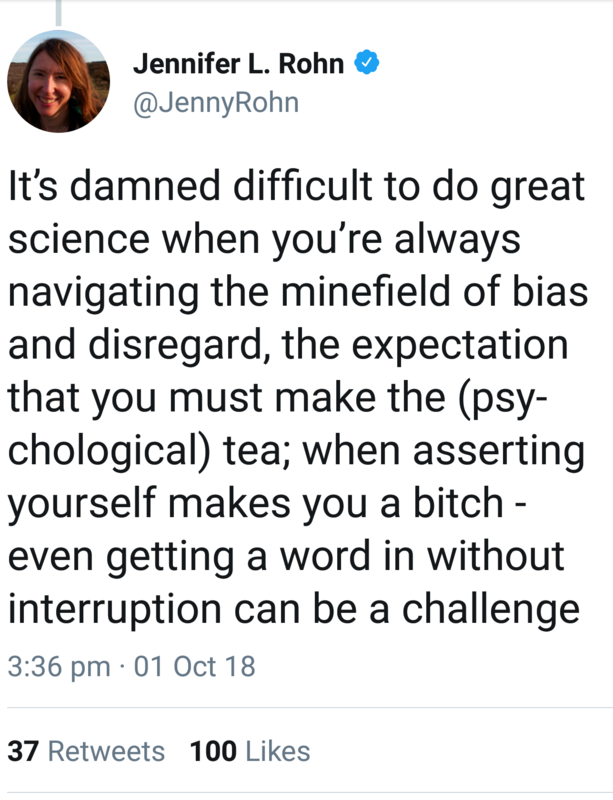 It certainly seems that way if you examine the scientific discoveries of female scientists such as Vera Rubin and Jocelyn Bell Burnell. Rubin pioneered the study of dark matter, the invisible substance that scientists believe makes up about a quarter of the universe. It was assumed that Rubin would win the physics prize for her work, which was mostly conducted in the 1970s and ’80s. Unfortunately she died in late 2016 and Nobel Prizes are not awarded posthumously. 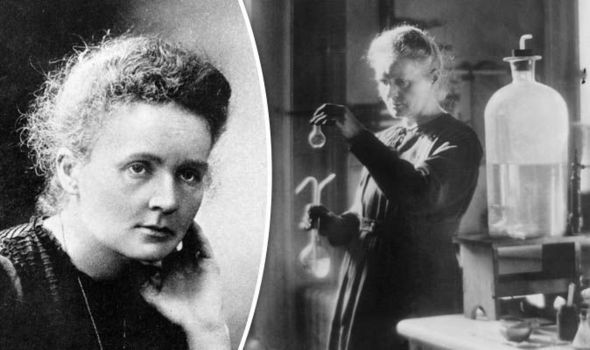 Marie Curie was the first woman to win the Nobel Prize, however it was at the insistence of her husband that she was included as a nominee as the French Academy of Sciences only nominated Pierre Curie and the couple’s collaborator, Henri Becquerel to win the prestigious award. At the time of winning the Nobel Prize, Donna Strickland, unlike her male counterparts, did not have a Wikipedia page set up. A user tried to set up a page for her in May, but the action was denied by a moderator citing: “This submission’s references do not show that the subject qualifies for a Wikipedia article.” It was determined that Strickland had not received enough media coverage across the web to warrant a page. The Institute of Physics (IOP) recently reported that some progress had been made in encouraging girls to study physics at A-Level. In 2016, 1.9% of girls chose A-level physics, up from 1.6% in 2011. But that compared with 6.5% for boys in 2016 and 44% of schools in England still send no girls at all to study the subject. The IOP report, Why Not Physics? – A Snapshot of Girls’ Uptake at A-level, found that the lack of girls studying physics to a higher level also had consequences for the UK economy. Physics-based skills are required in many growth areas, from aerospace to artificial intelligence, and thousands more workers need to be trained every year to keep the UK economy competitive. The IOP are hosting an event to address gender bias in physics for anyone involved in teaching or supporting Physics from KS3 to KS5, including non-specialists, NQTs, PGCE students and technicians. Physicians Lewis Matheson and Dr Lawrence Cattermole, plus other speakers, will discuss this issues facing teachers today. The event is titled “Physics was invented and built by men”: Gender Balance in Physics. At the event there will be the opportunity to learn more about improving gender balance (IGB) and how teachers can support every student in their education. A site dedicated to helping teachers encourage girls to engage and continue with physics at school and A-Level. The site provides career information, a Self-Assessment tool that shows you if your teaching is girl-friendly and information on avoiding unconscious bias. Provides an opportunity for girls to explore STEM careers through weekly, engaging and fun STEM club challenges. STEMgirls provides the teachers with all the resources needed to deliver 10 fun packed, engaging challenges each term. Each term schools are invited to the STEMgirls Speed Dating Roadshow and Finale where girls will get to meet highly successful STEM females from industry, providing opportunity for networking and career advice. 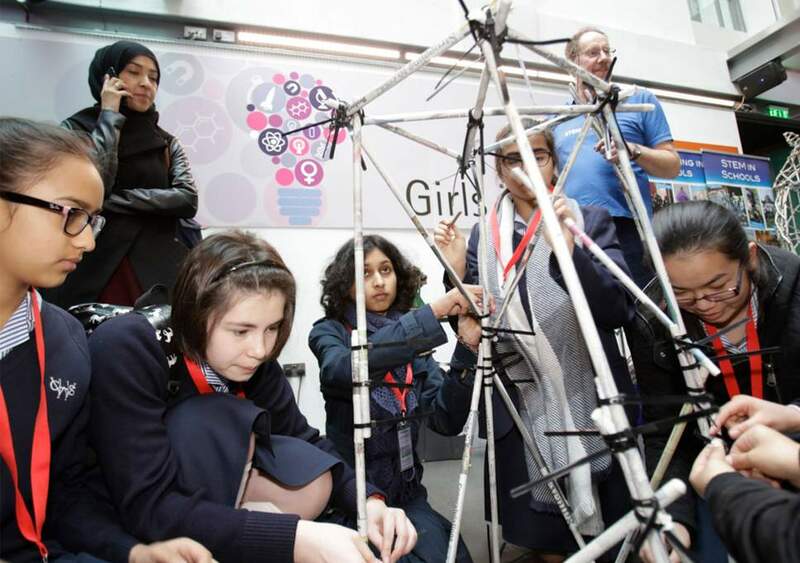 The club is designed just for girls to provide girls with a safe space to express themselves in the absence of boys as well as nurturing the girls, and giving them the skills to empower them to take STEM subjects at A level which will lead them into STEM apprenticeships or University courses. A powerful and enjoyable way to engage young people with science, technology, engineering and mathematics (STEM) subjects. STEM Clubs are individual to each school and there is no fixed formula for running one. There is, however, plenty of support available for those wanting to start a STEM Club. If you’re between 13-18 Google want you to share your best idea using science, technology, engineering, and math. It doesn’t matter if you use pen and paper or a full-scale lab; it’s all about the idea and the thinking behind it—no matter how big or small. To take part start thinking up ideas. Go solo or grab some friends to join and dive into all the guides and inspiration Google have collected to help you along the way. And don’t forget check out the prizes! Google have also created a full library of teaching materials and exercises for teachers and mentors focused on the problem-solving process. Flexible enough to apply to virtually any subject or teaching style. Offering sessions on Saturdays, Sundays and during half-term and school holidays. All classes and camps are suitable for all levels of knowledge with the aim of inspiring children in real-life challenges and encouraging them to put theory into practice in a fun and engaging way with a special emphasis on Science, Technology, Engineering and Mathematics (STEM) subjects. Employing a range of tutors and mentors from primary and secondary school teachers, PhD and EdD students, academic Doctors and post-doctoral researchers, all tutors and mentors are specialists in their subjects. Aimed at girls aged 12-18 years old curious about science and research. Are you eager to know more about what researchers really do? Would you like to meet scientists and ask them all the questions you can think of? A group of researchers look forward to showing you what we do and how we do it! Join us to hear of women from the past and meet women from the present who are running amazing experiments and investigating fascinating topics, who are helping people and have changed or will change the world we live in!